I received a NOVICA gift certificate to choose my favorite item to show off to you. This post also contains affiliate links. All opinions are my own. I’ve been spending a lot of time looking for unique gift ideas. The holidays are coming up, after all, and my family is getting harder and harder to buy for. I mean, I can only get my mom so many sweaters, especially when she barely leaves the house! I’ve always loved gemstones. I’m Pagan, so I do believe in the mystical properties to an extent. Besides, they’re just so beautiful! When NOVICA gave me $75 to spend to try out their site, I spent hours pouring over all the beautiful artisan creations. I must have had about 50 browser tabs open of possible purchases. I noticed that half my tabs included some types of gemstone creation. They had everything from stunning jewelry to sweet little gemstone trees. As I browsed, the trees in particular called out to me. After a particularly traumatic experience back in May related to my surgery, I’ve been dealing with a lot of negative thoughts and energies in my life. 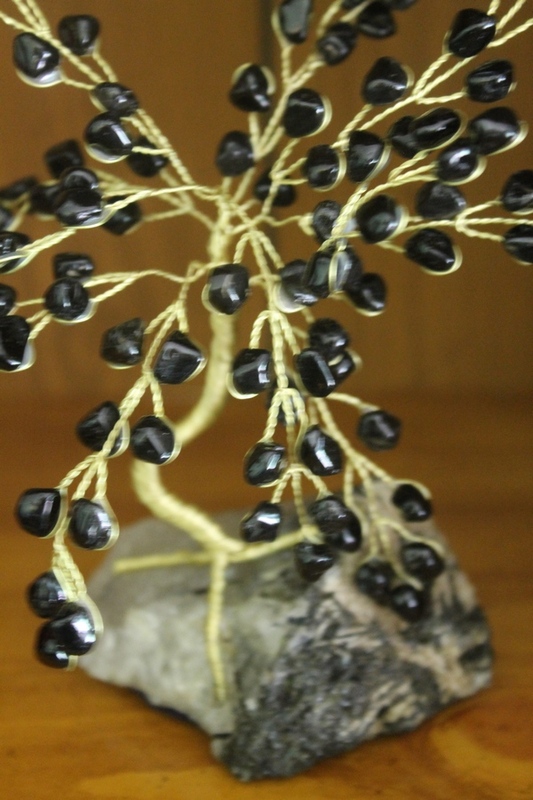 When I saw the Guarded Dreams of Onyx tree and read how it helps dispel negativity, I knew I found my item. Onyx is also the birthstone for Leos, which I so happen to be! I know, I’m like the most introverted Leo ever, right? The tree was created by an artist named, Guena, a former accountant who left his desk behind to pursue his dreams of becoming an artisan sculptor. He fell in love with gemstones, and now travels all around Brazil finding the most beautiful specimens for his gorgeous works of art. In fact, my little tree traveled all the way from Brazil to my doorstep! It was carefully wrapped for the journey. When it arrived, I just had to reshape the branches and it was ready to be displayed! 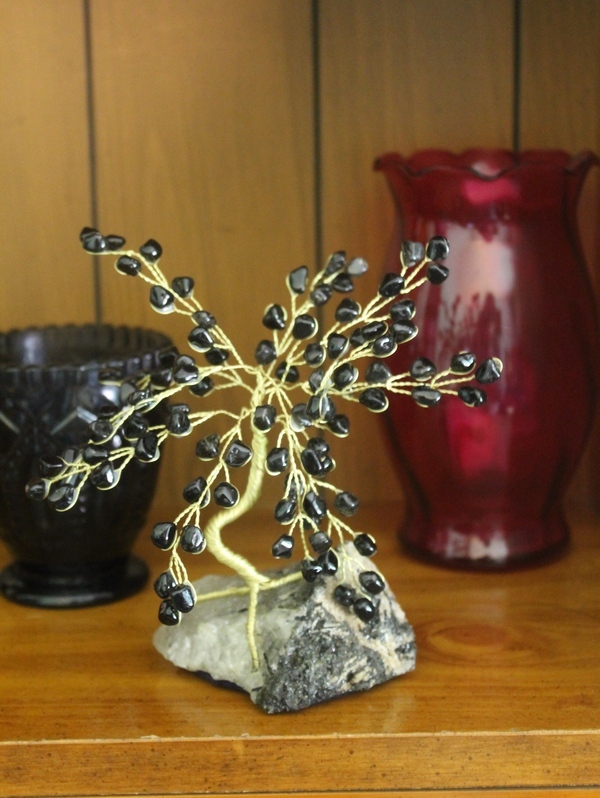 My little Onyx tree stands just under 5 inches tall, but it definitely makes an impact in the room! I have it sitting on my mantle, so I can see it while I work. The artistic workmanship is beautiful. Each small onyx stone is attached to the wire base securely. The tree itself is secured to a tourmaline base. Tourmaline is actually the piece of the work that repels negativity. The onyx guides your dreams, making it perfect for also inspiring creativity. The wonderful thing about NOVICA is that your purchases help support artisans all over the world. Plus, everything on the site is fair trade sourced. As of the time of this article, NOVICA has helped artisans earn $50 million dollars for their amazing works! NOVICA gives artists a platform to sell their work internationally, which helps them help provide for their families and better their communities. When you purchase from NOVICA, you’re getting a gift with a conscience! 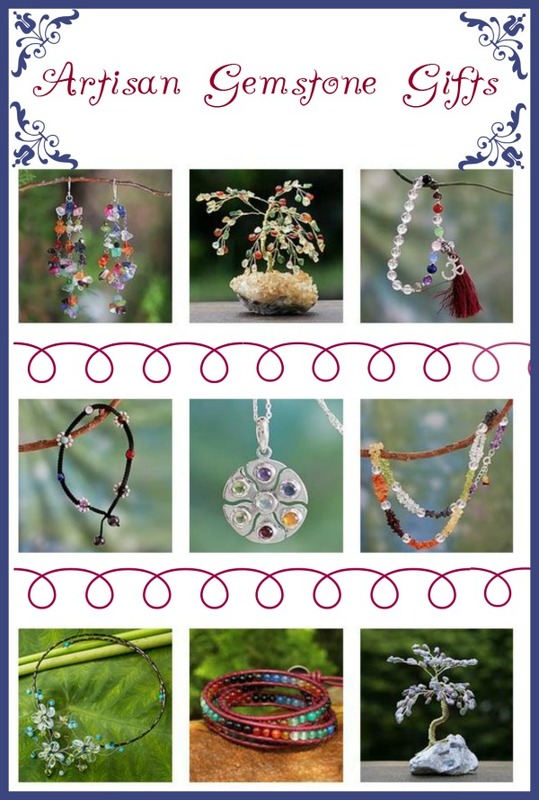 I have some beautiful gemstone earrings from Novica. I also have a lovely alpaca sweater from Peru. Good products and good karma. I have some beautiful earrings from Novica. They have a great selection of jewelry.